Tossing the coin of my dreams, my intellect trundled only to realize that it will be wild to help myself in such a fashion. Looking upon the calendar, noticing the date and arming myself with a spotless and tidy postcard, I decided to inscribe. Eloping with you was my naivety. Marrying you was my Love for you. With you, life was nothing less than a sugar coated pill till you betrayed. Earth shook beneath my feet. All the sugar had vanished from my life. Life had festered. Until I decided to voice my feelings. I feel much better now. I am able to breathe, to live again. It is believed that all the good things happen after some struggle and fight. So thank you for allowing me to struggle and fight my intellect now that you have gone. He went straight to the acknowledgement page to find it and there it was etched in bold letters. My sincere thanks to Samar…. His already moist eyes gave away upon reading it as he struggled for his last breath. This post is in response to a contest hosted at WriteTribe. A neat premise and structure. This story shows a lot of promise. 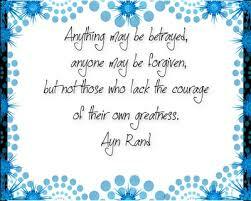 I could never find it in myself to forgive someone who betrayed me, but over time we all change. Life changes us all. Thanks a lot Sreedav!! !Glad that you liked it. Betrayal is a hard one to forgive, but eventually forgiveness is the only way to move on. Very nicely penned. Great premise, Rohan. Thanks for taking part in the contest. Yes, it shatters your soul, your heart. But to move ahead one needs to forget and forgive… 🙂 Thanks Suzy for dropping by. That's wonderful write loaded with emotions. Like it.